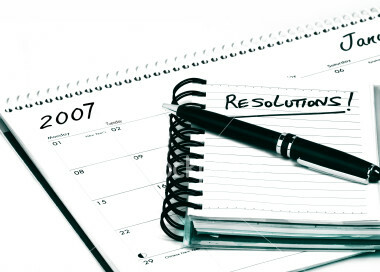 Yeah, I got a list of resolutions… don’t you??? If not, don’t feel bad. I am one of those geeks that writes down my list every year, only to review it at the end of the year and realize what a complete moron I am. Maybe if I try reverse psychology on myself I will trick me into actually achieving something!! 9. I will cut down on my coffee habit. I’ll go to Dunkin Donuts instead of Starbucks during the week to save the 4 bucks I need for that Saturday latte. 8. I promise to do something to bring joy to someone else each day. God, I love Oprah, but she’s like a bad BFF who uses peer pressure to make you feel like an idiot. I have enough issues bringing joy to my own damn day. Ok– I’ll shoot for once a week, I swear. 7. Lose weight, this will be the year I take off those 50 lbs. Actually, this is the only resolution I have a snowballs chance in hell of doing, but instead of sabotaging myself every stinking year, I am going to go back to Weight Watchers to lose 10 lbs., and we’ll go from there…. 6. I will finally take the 7 jars of change I have been collecting to the CoinStar machine at the supermarket. And, then spend it on a latte, or twenty lattes (hence, not achieving #9 on my list). 5. I will go to the gym 5 days a week. 4. I will keep my desktop clean! Isn’t clutter the sign of genius? if so, I got it dooooown, baby. 3. I will clean out my closet(s). I attempt this every year, I even get a pile of clothes to give away to Goodwill, I just never get the bags to the dropoff, and by the time I do… well, it’s time to clean the closets (AGAIN). See??? this is a freaking losing battle. 2. I will get out of debt. I will get another card to pay off the one with the balance. Does that count???? 1. I will not spend as much on handbags. No way on this earth I’ll keep this one. So forget it. « It’s here! My lucky year!